Perhaps the biggest decision you’ll make while planning your reception meal is the serving style. Check out the four most popular serving styles and what they all mean. Perhaps the biggest decision you’ll make while planning your reception meal is deciding on the serving style. The serving style you select will greatly affect your budget and the flow of your reception. Check out the four most popular serving styles and what they all mean. 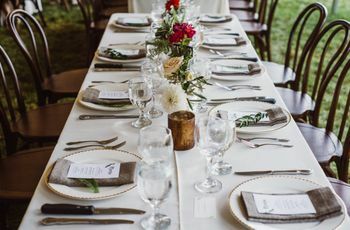 Plated Dinner: The most formal and traditional of the styles, guests order individually (either at the event or in advance), and servers present the courses. 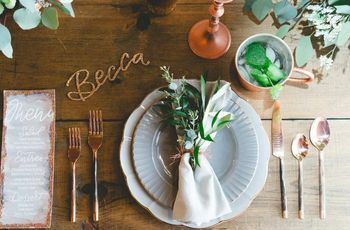 While guests may like this style because they're served at their tables and don't have to wait in line, it is usually the priciest of serving styles because of the extra staff. Buffet: With this more casual serving style, a buffet station is set up and either guests serve themselves or servers provide the food. 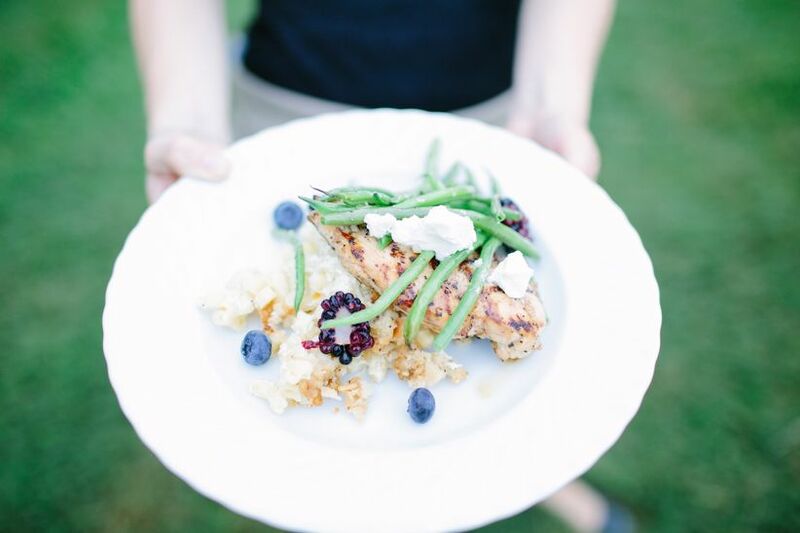 Most caterers say it's the least expensive serving style, and guests pick and choose the exact portions they want. Family-Style: Servers provide trays of food to each table, and guests pass the trays around and serve themselves. It can get a little messy, but we like this serving style's inclusive and casual feel. 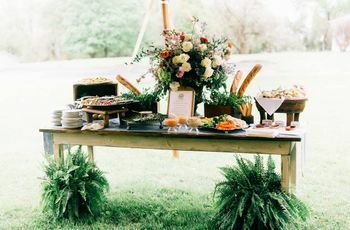 Cocktail-Style: A mix of heavy passed hors d’oevures and food stations. Guests mix and mingle while eating. 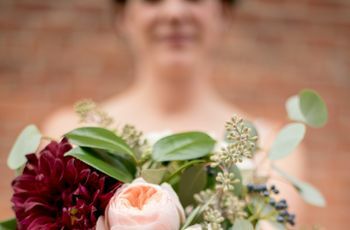 While older guests might be confused by this "more modern" style of service, you can serve a wide variety of foods, and guests are encouraged to walk around and chat. If you plan wisely, you may spend less money on food.